The breath is our most important teacher. Shallow, short breaths that reside up in the chest often imply we’re under a bit of stress, or that we’ve got a lot on our minds – whereas slow, deep conscious breaths indicate a more relaxed, balanced mind, and help us to switch on the parasympathetic nervous system (the rest and digest system), helping the body to return to its natural state of health and wellbeing. Our body and breath have an ongoing dialogue; if something is out of kilter in the body, it’ll show up in the breath, and if we don’t allow ourselves to breathe fully, then the body & mind can’t be at their best either. Anyone who has ever been to a Yoga class knows the importance of connecting to the breath, using it as a tool to navigate throughout our practice, and to listen to it in order to help us understand when to back off and when it’s ok to go a little further in a posture. ‘Progressing’ in a yoga practice is really about creating new habits and developing muscle memory. When our bodies get used to moving in a certain way, and the muscles remember how to contract and lengthen in certain postures, we begin to almost mould our body to the practice. (This is why it’s important to vary your movements, as the structure of the body does indeed become moulded to the movements we put it through; holding on to tightness and contracting in some over-used places, and becoming overly flexible in others.) The body is therefore pretty good at remembering the actions we put it through, as well as recalling the emotional state we’re in when we do these actions. For example, if you’re moving towards a posture such as sirsasana (headstand) and your breath becomes shallow, your muscles inadvertently tighten, and your nervous system is switched on to the ‘fight or flight’ system, then there’s a chance your body isn’t going to be so happy about moving in to sirsasana, because it feels as though it’s under attack. If this reaction becomes a habit, then the body begins to automatically switch over to that fight or flight response every time that certain posture is approached. This is where the breath can play a massive role in calming things down and re-patterning these unhelpful habits. 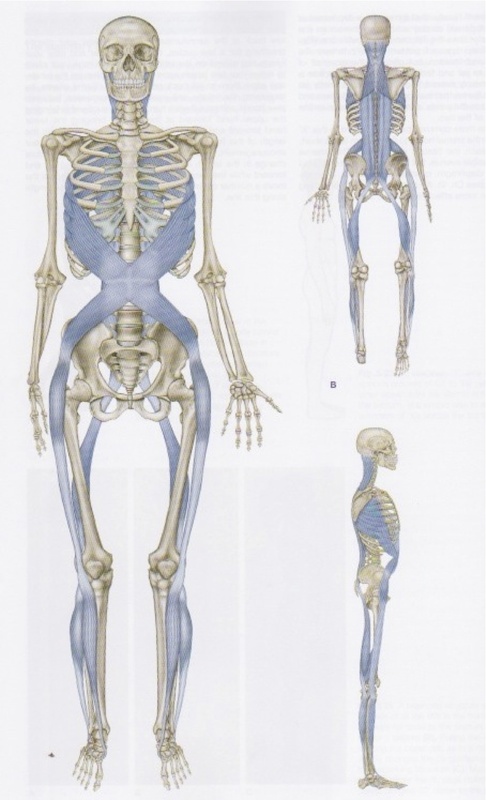 It’s also where we need to understand a little bit about fascia…. Fascia is a type of connective tissue that weaves throughout the whole of our body. 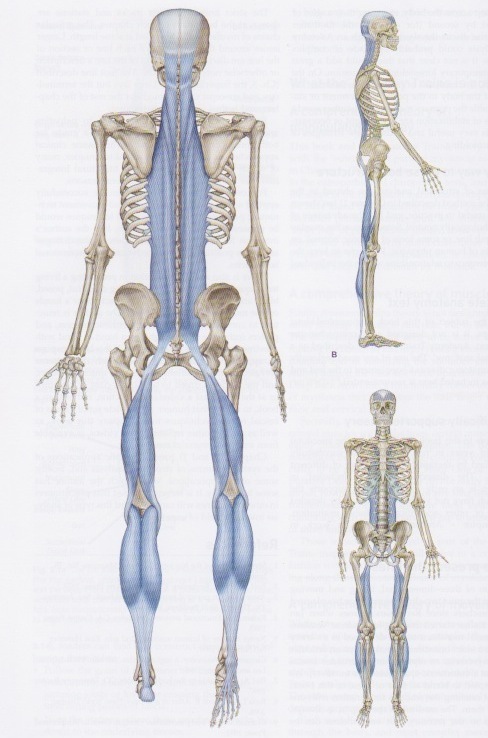 There are different types of fascia, moving from superficial fascia – which lies underneath the skin – to deeper layers of fascia, which weave in and around our muscles and organs, almost like a web that connects our whole body together. This tissue ensures that our bodies are entirely interdependent; each system, limb, organ and muscle responds and interacts with the others – no matter how far away they are from each other. 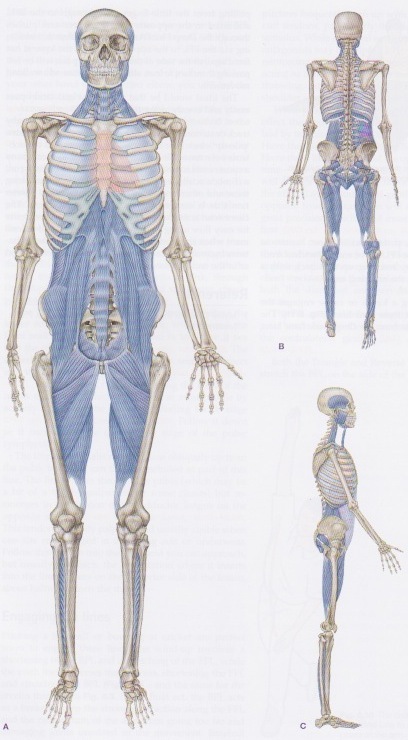 Our bones are not stacked, nor are our muscles simply attached from point to point; we are tensile, meaning that if one part of the body is effected by something, everything else will respond either a little or a lot. (This goes to explain why a pain in your upper back could well originate from a problem in the foot, or why ‘tight hips’ often contributes to issues with the knees). Now, fascia is a proprioceptive tissue – meaning that it sends signals to the brain telling us how our bodies are in the world. Fascia also has an astonishing amount of nerve endings – even more than the iris of the eye – so with every moment, our body is communicating and responding to the changes within and around us. If fascia weaves throughout our bodies and connects us, then this means that the diaphragm (our primary breathing muscle, and the biggest muscle in the body), is also connected via fascia, and what the diaphragm does will have a big effect on the rest of the body. This is where we get back to the breath. If the breaths we take are shallow and sharp and high up in the chest, then the fascia connected to the breathing apparatus is going to tell the rest of the body something is wrong. Once that message is sent out, the rest of the body responds by tensing muscles, raising blood pressure, and sending blood and oxygen away from our vital organs and towards the extremities so we’re ready to fight or flee. If our breath is slow, deep and conscious, with the belly being allowed to expand and contract on each inhale and exhale (also known as diaphragmatic breathing), then that deeper and slower action of the diaphragm is going to tell the rest of the body – via the fascia – that all is well, and the rest of the body will respond in a much more positive way; allowing blood and oxygen to circulate normally, and helping brain function to carry on at the optimal level. We’re basically telling our bodies & nervous system that its ok to be in this position, that it’s safe, and that there’s no need to fight or flee the situation! Our bodies remember these actions pretty well, and this aids us in creating positive patterns that help us throughout our practice on the mat. The real point of this practice is to allow it to translate to difficult situations in life off the mat. 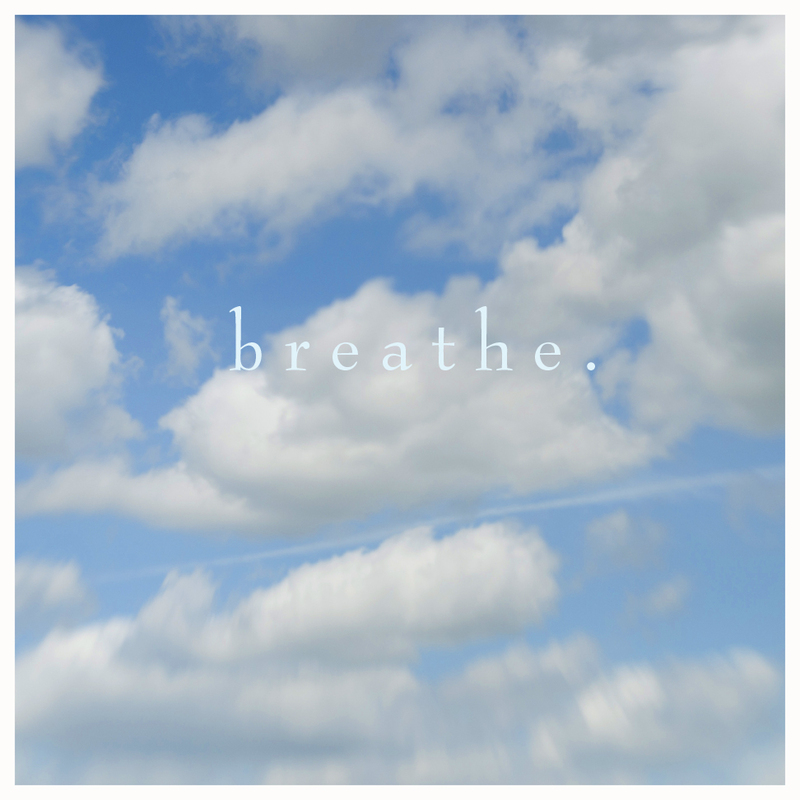 When you’re nervous about a meeting, an interview, a presentation, or in making difficult decisions, then this is the time to remember what you learn in your yoga practice and to use the breath to calm to body and mind. So the next time you approach a difficult posture, be extra aware of taking those deep, conscious breaths – effectively sending a positive message to the body that what you’re doing is perfectly ok! This is a lot more likely to allow you to stay in a posture, or maybe even go further towards a posture that you previously found difficult. Once you set this pattern in place of breathing slowly and steadily throughout your whole practice, the body will respond well to most things it is asked to do on and off the mat. Experiment! Next time you’re practicing, see if you can move while maintaining those conscious, deep breaths, and see how your body responds. When you approach that posture you’ve been avoiding, allow the breath to take over and guide you through, being mindful of each deep inhale and exhale. ← Practice: Malasana / Garland Pose + a mini anatomy lesson!